Most advanced process solutions and process systemscome at a cost but at Valves Online this isn't the case. We use our extensive range of products, coupled with our industry experience, to provide the same level of control more cost effectively! Areas we focus on include heating and cooling, batching, filling and cleaning (CIP). From simple manual valves and temperature gauges to RTD temperature sensors with programmable controllers and control valves. Delivering accurate control of flow, automating the entire control process with programmable flow transmitters and controllers. Steam is an essential part of your process system, used as a heat transfer media, a cleaning agent or as a crucial sterile ingredient. We control steam precisely and safely using high quality steam and pressure relief valves, steam traps and by providing on-site steam trap surveys on request. 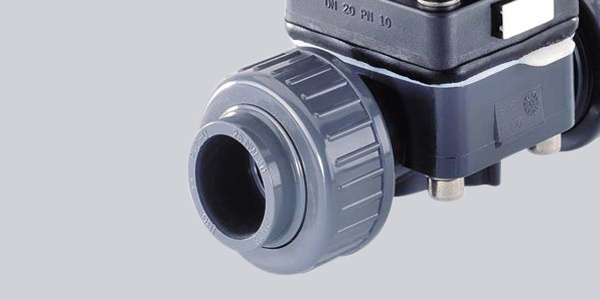 Safely controlling and documenting every stage of your CIP | SIP regime is easy with stable and rugged components, specifically designed to cope with harsh environments and the demands of wash-downs. We create solutions that bring peace of mind, ensuring reliability in switching from water to clean steam and chemical to surfactant via a range of products fit for purpose. With one of the widest ranges of products available to actuate, monitor, network and communicate we have the solution to your process needs. Our versatile systems provide process efficiency and higher yields to breweries around the country, delivering superior repeatability, cycle life, sterility and accuracy. For all your hygienic application needs including ball valves, butterfly valves, check valves, relief valves, sight glass and more. Pneumatic and electric actuated ball, butterfly, solenoid and modulating valves. Knowing that a valve has actually switched within critical and process environments can be vital. Our feedback switches give you peace of mind. Mixing the benefits of local pilot valves with mechanical, inductive or sensorpad feedback optimises control. Specify Burkert Process Control Heads! Select simple cabinet mounted, DIP switch programmable blind positioners or sleek, bus compatible units with backlit display and intuitive programming. Taking raw signals from sensors, then amplifying or converting them into digital information or standard industrial signals. Clearly and efficiently. Positioned at sensors, in panels, on walls or integrated onto control valves, controllers are at the heart of your system. ELEMENT from Burkert encompasses the total loop – valves, sensors and controllers in one beautifully simple architecture. As an official UK partner distributor for Burkert we have the answers to your process needs...find out more. If you'd like to discuss your requirements further we're always happy to take your call. We'll listen to your needs and recommend a cost-effective level of control and effection process solution! Call us now on 01822 855600 or 0161 480 5700 or send an email.